Nic Stuart: HAS MALCOLM LOST THE PLOT? 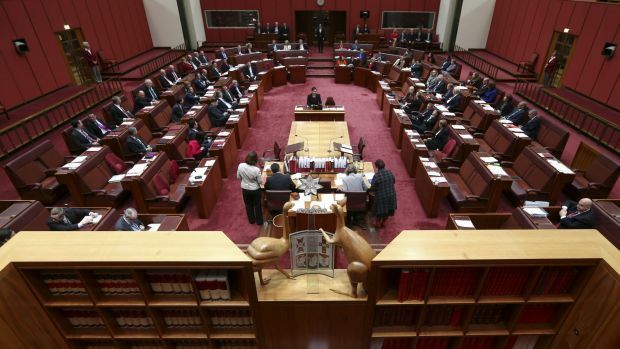 Labor and the Coalition will be keen to reduce the size of the Senate's crossbench at the next election. Malcolm Turnbull has two problems; one is political and one economic. His difficulty is they can't both be addressed simultaneously. But it turns out that finding a solution simply requires putting them in the right order; the twist is this will mean doing things the wrong way round. The biggest, most serious and hugely troubling issue the nation faces is the dysfunction of our tax system. It's not just that the government's spending more money than it's got coming in, that's only half the problem. The real nub of the issue is the system's flawed. It distorts economic activity aggravating inequality. Everyone agrees it needs to be addressed. Urgently. The problem is any change will create losers who will create difficulties for a government heading to an election. And that's why real change, the sort of radical reform that could genuinely fix things, has been shelved. Make no mistake. Turnbull understands the need to address the tax system, it's just he's come to the conclusion that this is not the time. That's because he's got another priority, one he can't put off. Malcolm Turnbull has a once-in-a-generation opportunity to change electoral laws and reshape Parliament. The media and public debate's been hijacked by the chatter about tax but don't confuse this for the main game. The point is not simply to design the best system but also to get it implemented while surviving politically. It's important to remember that this is an election year. It makes no sense to play around creating uncertainty at a time when voters' appointment with the ballot booths is already looming into view. That's why Turnbull's no longer fixated on dealing with his most serious problem, tax. The critical importance of his polling numbers is that they're offering him a prospect that's too good to turn down: an election that could entrench his government's dominance not just for one term, but the indefinite future. To understand the mechanics all you need to grasp is that the constitution doesn't actually work the way we think it does. Because elections for the Senate and House are usually held at the same time, for example, we think their terms are in sync. They're not (except in the territories). That's why senators who were voted in on September 7, 2013, (such as Jacqui Lambie) didn't actually take their seats until July 1, 2014. With full six-year terms, they'll be there until June 2020 (unless there's a double-dissolution election in the meantime). There's also a record number of crossbench senators (18) and only one of these (John Madigan) comes up for re-election this year. Following this logic is the key to understanding Turnbull's thinking about how he frames the next election, when he'll call it, and why a double-dissolution is still an option. The constitution gives senators so much power but is actually silent when it comes to the far more relevant detail about how they're to be elected, leaving it to (wait for it) Parliament to fix the detail. This is why, if Labor and the Coalition were prepared to get together, they could quickly scrap the flawed system we've got at the moment. The trouble has been that the opposition (whomsoever it may be) has absolutely no interest in fixing things up for the government. It's always threatened to join with the crossbenchers to disallow any reform and that's why the chaos has continued. Until now. The Coalition currently holds 33 seats and Labor 25. The Greens hold another 10, there's Nick Xenophon, and seven others. The significant change today is that, since Christine Milne moved on from the leadership, the Greens have abandoned their dogmatic refusal to negotiate. This forced Labor to reconsider its position as well. All these parties stand to gain from an appropriate reform of the electoral laws, whereas Xenophon probably just believes it's the right thing to do. Because it is. No one wants to talk about the detail, because as soon as it leaks out the Senate will become unworkable. The minor senators will throw huge hissy-fits and yell about the end of civilisation, as if getting elected on their tiny fraction of a primary vote is somehow democratic. The issue is timing. Turnbull's problem is that no date is perfect. He needs to make some choices. Hold off until September (and remain saddled with the crossbench for years) or capitalise on the moment and call a double-dissolution straight after the budget. 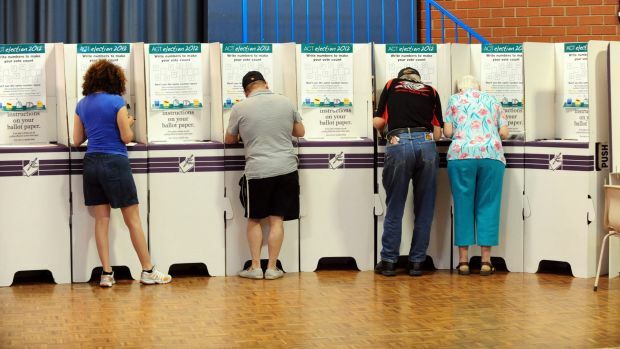 Changing the Electoral Act offers Turnbull a once-in-a-generation opportunity to reshape Parliament. That's why tax can wait for now. There are no simple answers. Consider the supposedly all-inclusive GST. It now covers less than half our spending: so why should the taxpayer subsidise elective surgery and private school education twice over, through tax exemptions and grants? But questions like these are off limits to politicians desperately courting swinging voters. That's why the government relies on changes to super to provide the illusion it's acting. In the meantime, Turnbull will be focusing on the long game, which means parliamentary reform. There's never been a more exciting time to be a senator. I'm curious how a reef in the South China Sea would only be visible at HIGH tide. Must be a magical reef. Sorry, my 'reply' is, of course, the comment below. you're the second person to pick me up on this this morning. As you realise I meant LOW tide. I shall write out "I must not mistake up for down" 500 times!